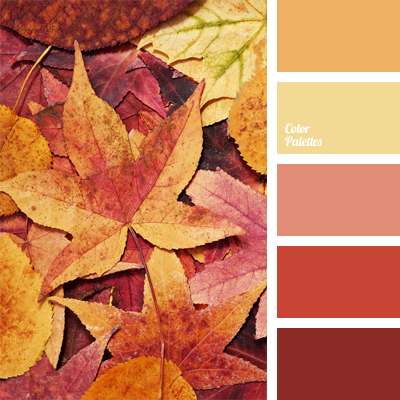 The shades of orange that run smoothly into the shades of sunny yellow will brighten dull gray days of late city autumn. Use these colors in your wardrobe at the end of November and you will stand out among the crowd for sure. 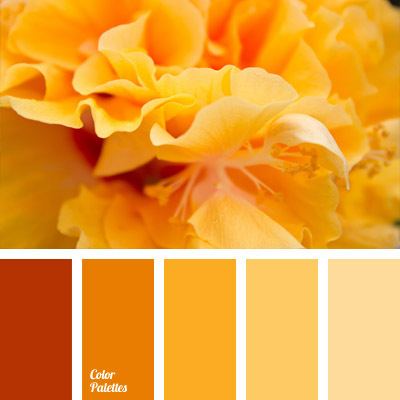 color selection, cream, dark yellow, evgeniatuzinska, light orange, light yellow, monochrome color palette, monochrome orange color palette, orange-yellow, shades of orange, yellow and orange, Yellow Color Palettes, yellow-orange color.